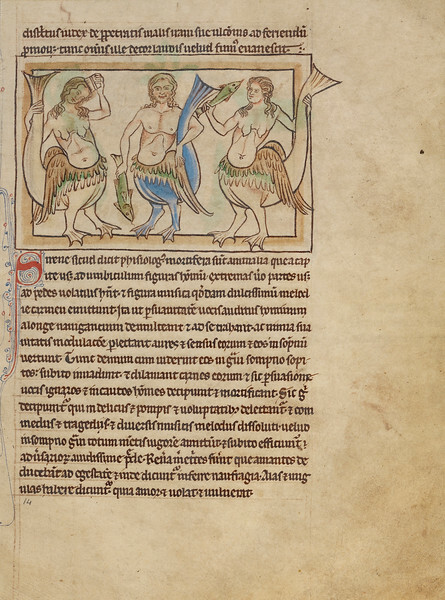 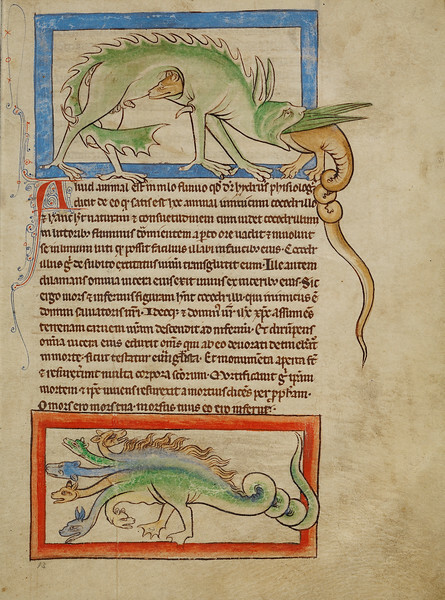 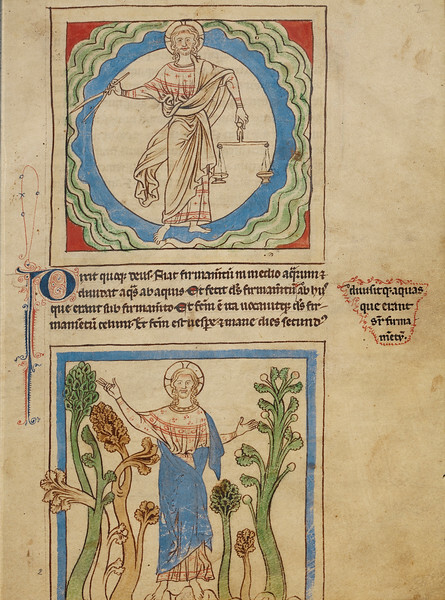 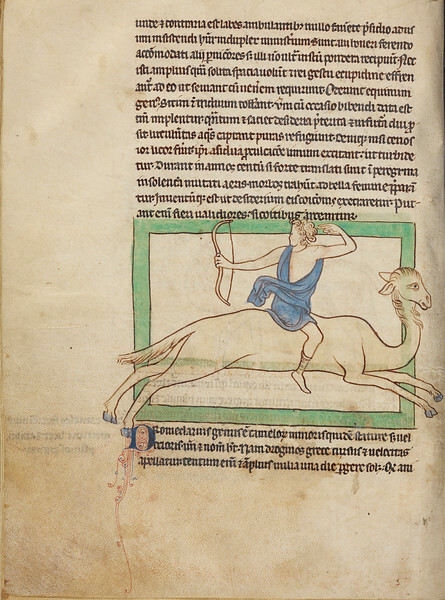 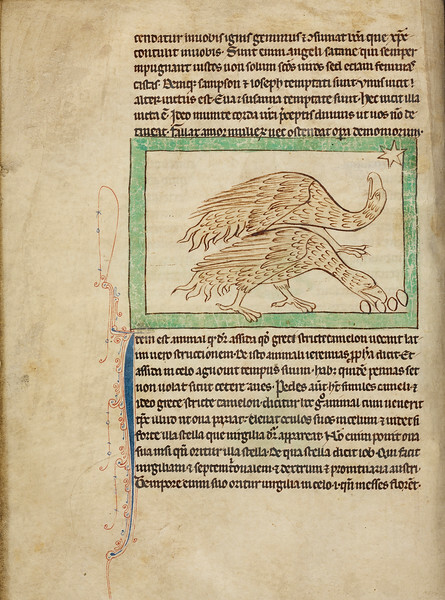 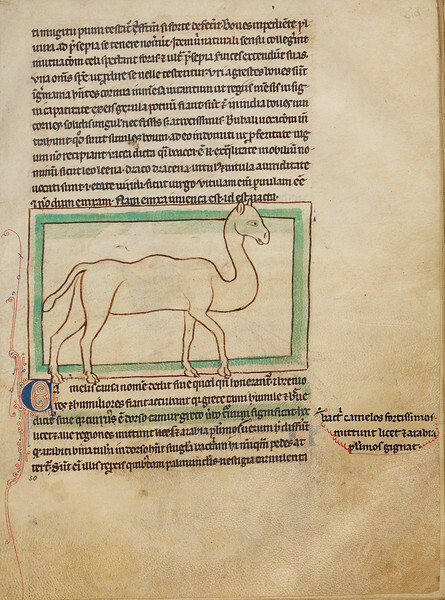 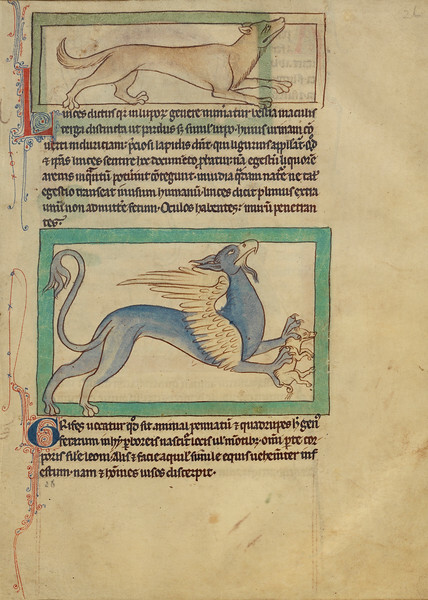 The bestiary--a collection of descriptions and images of real and imaginary animals intended to provide readers with moral lessons--was one of the most important traditions to emerge from medieval England. 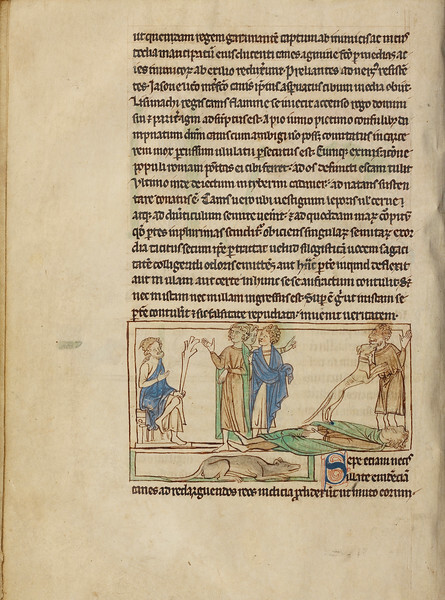 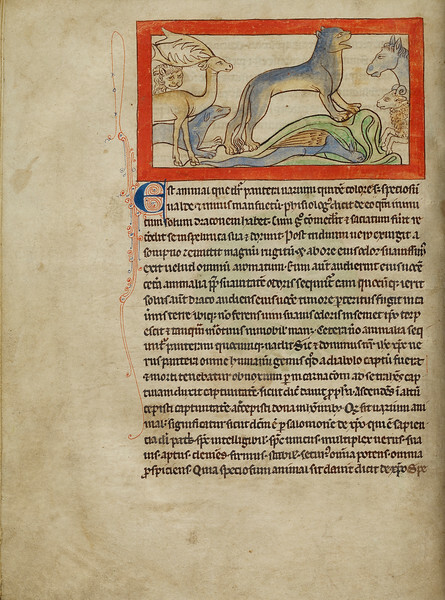 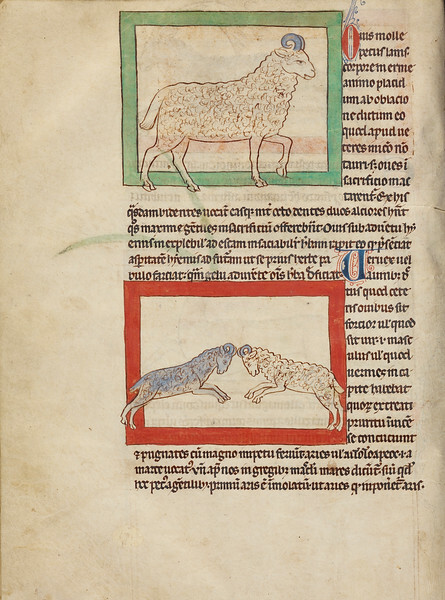 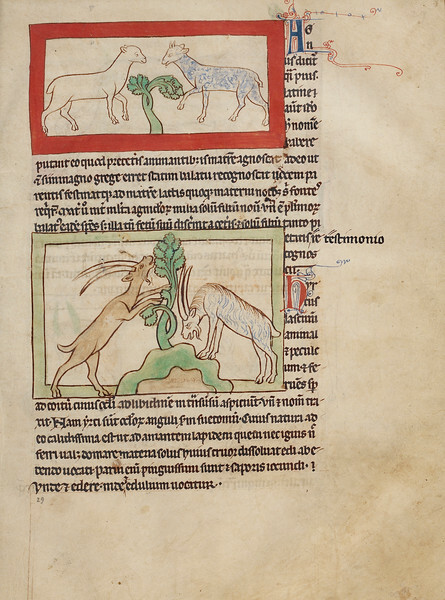 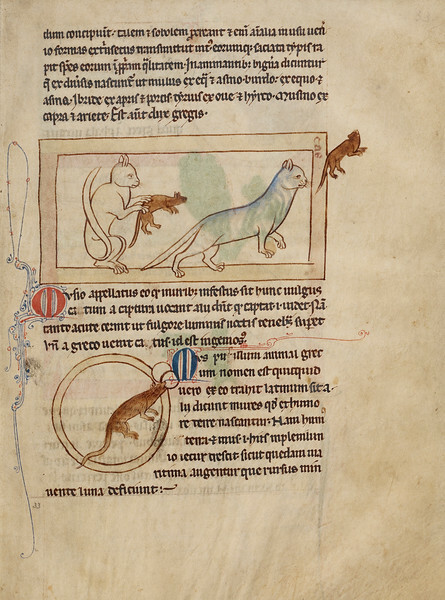 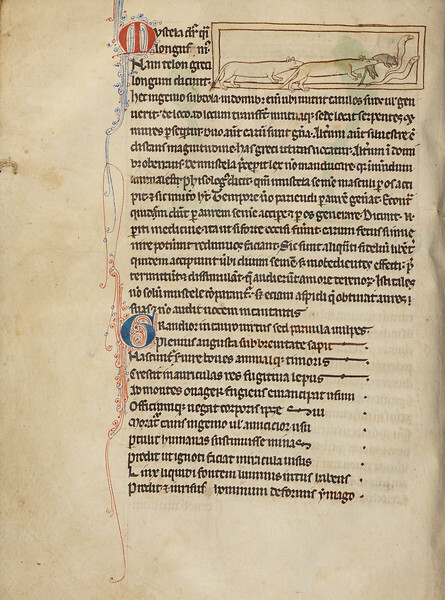 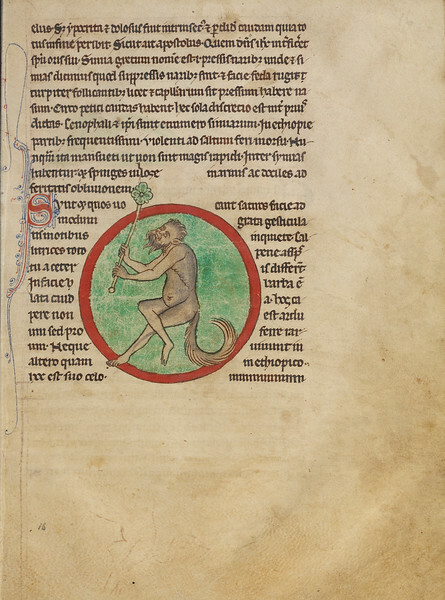 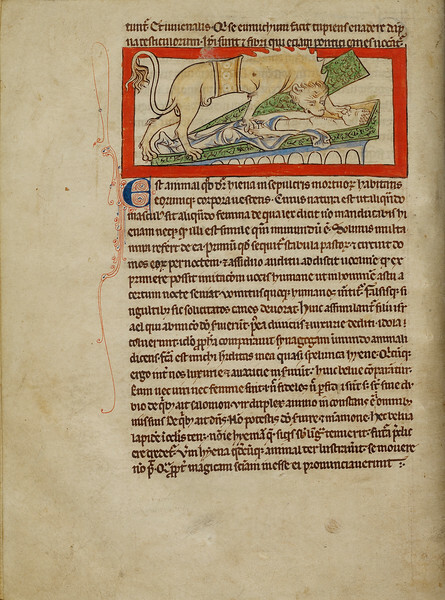 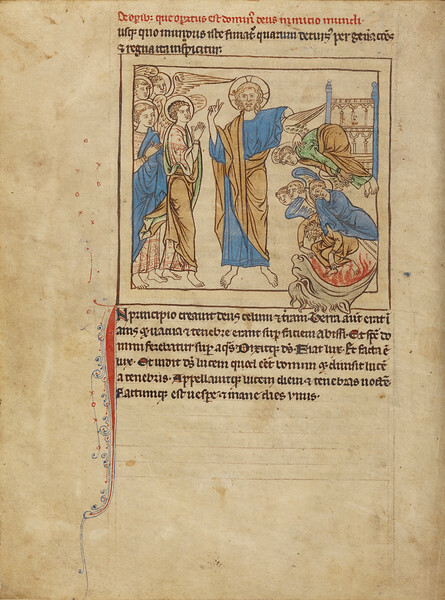 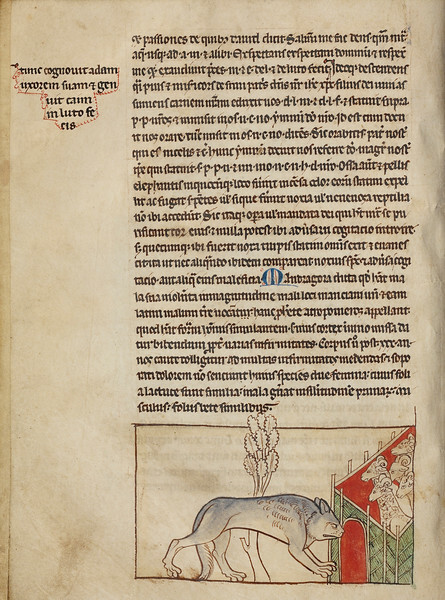 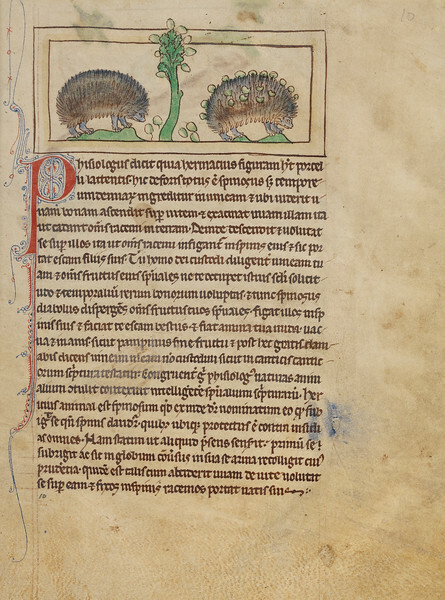 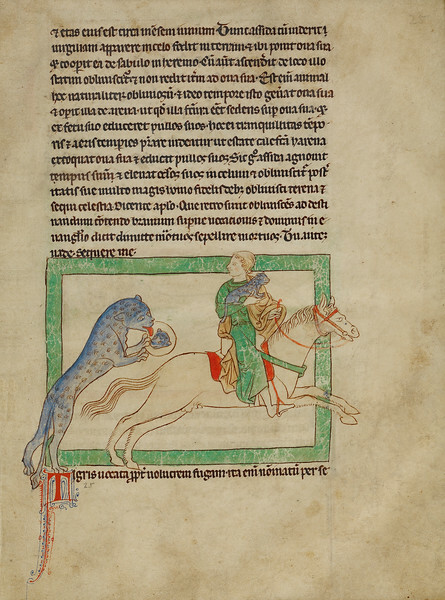 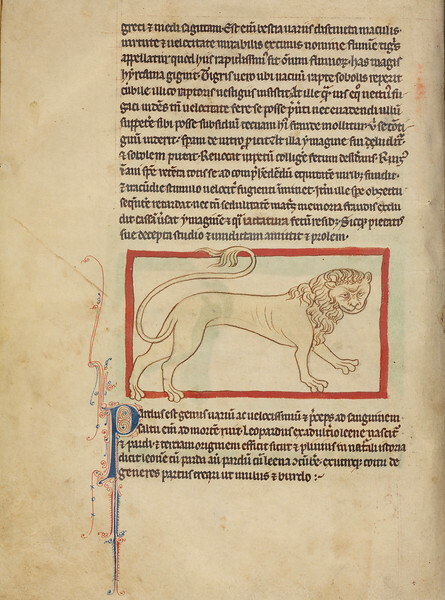 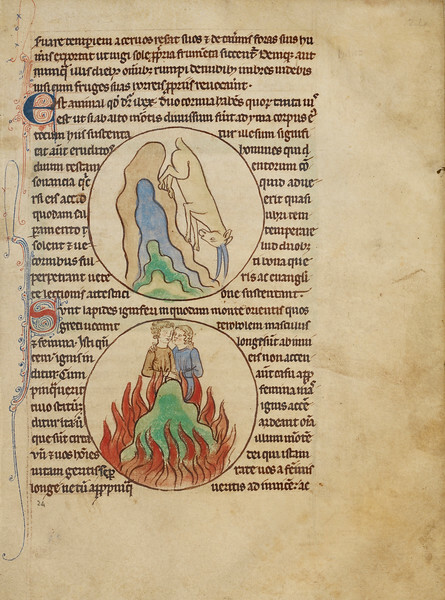 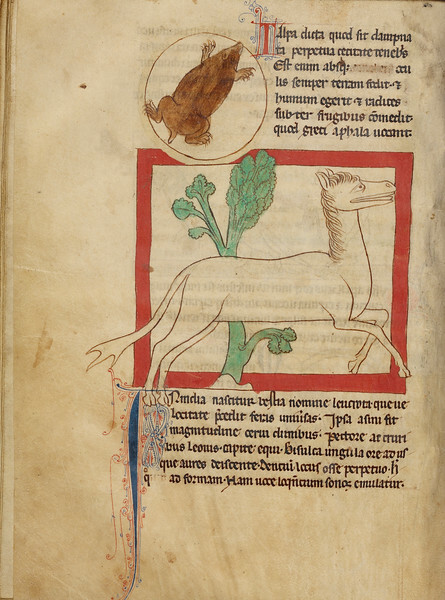 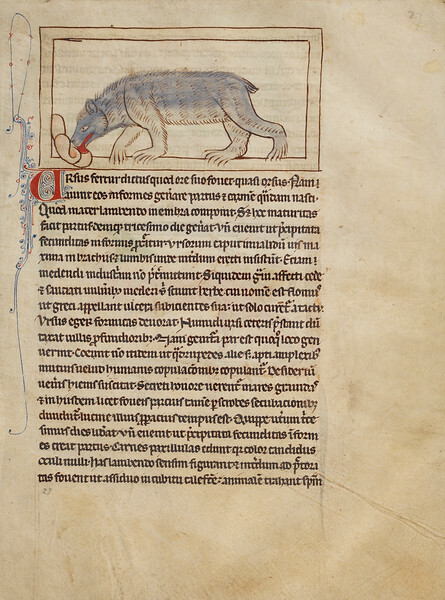 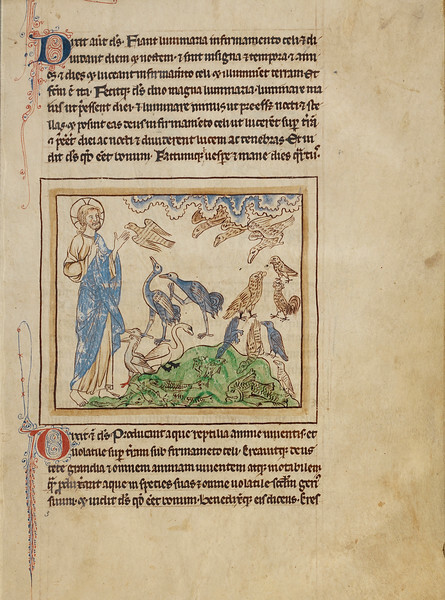 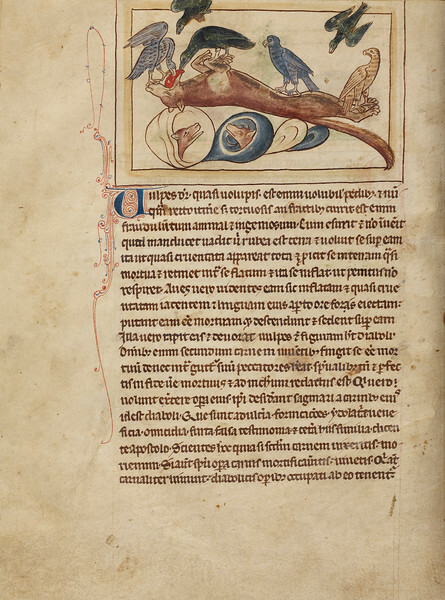 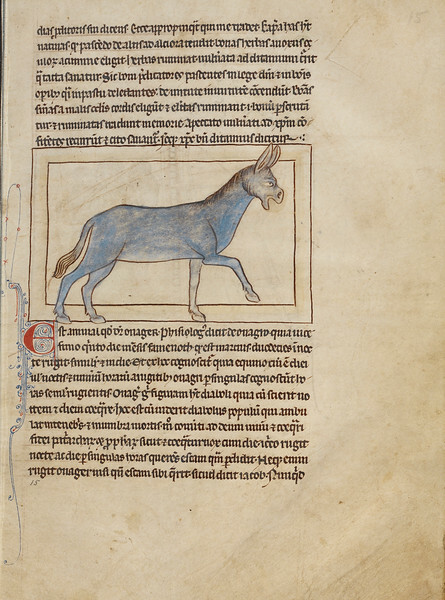 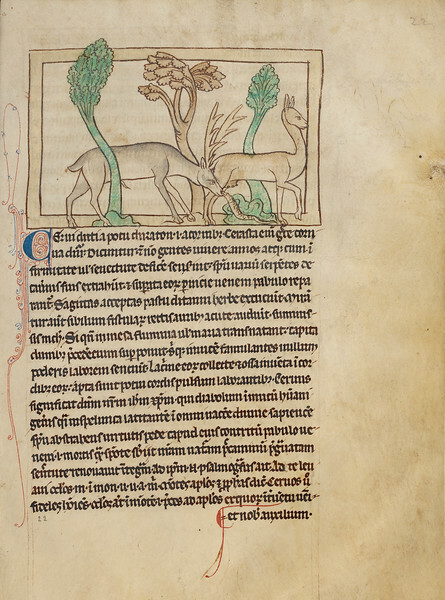 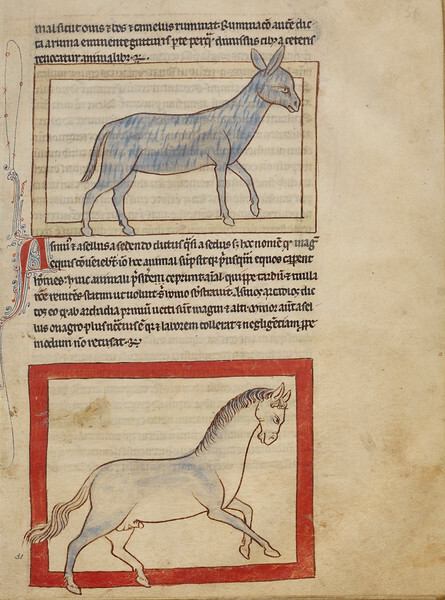 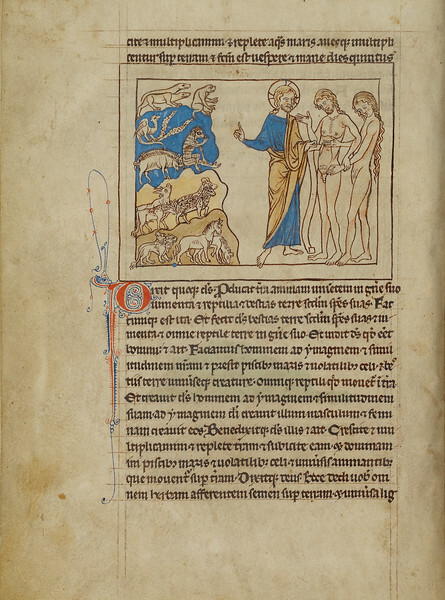 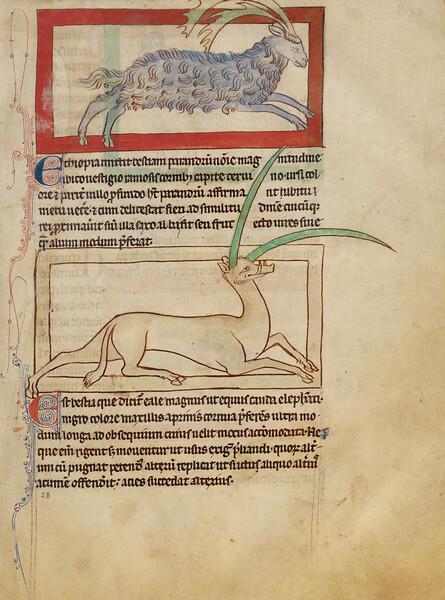 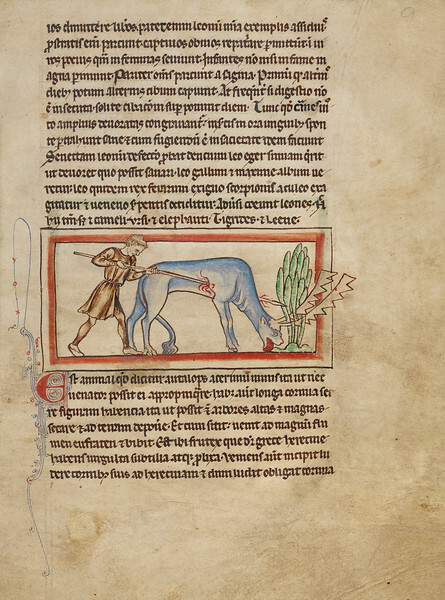 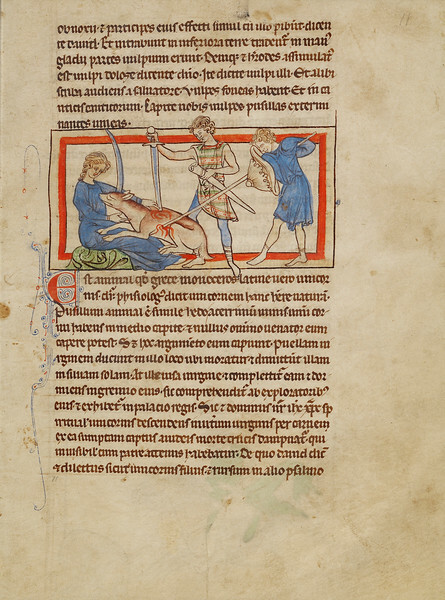 Although bestiaries were a kind of medieval encyclopedia of animals, they explored the world of animals primarily in order to explain their significance within the Christian worldview. 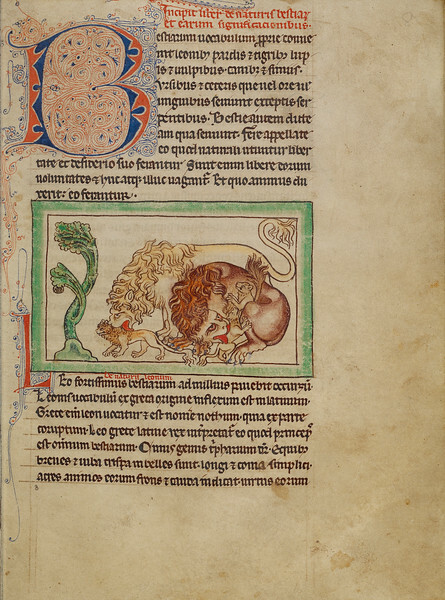 Male lions were seen as worthy reflections of the God the Father, for example, while the dragon was understood as a representative of Satan on earth. 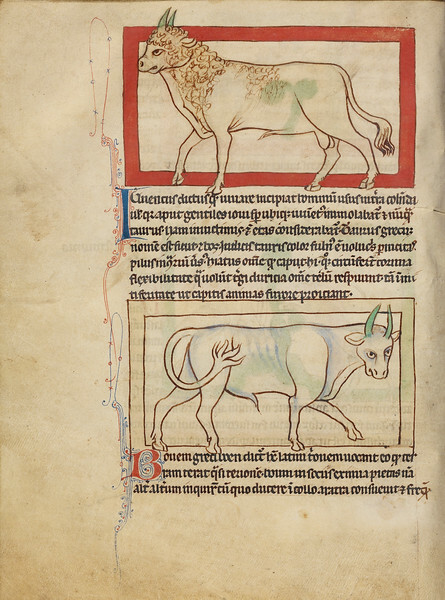 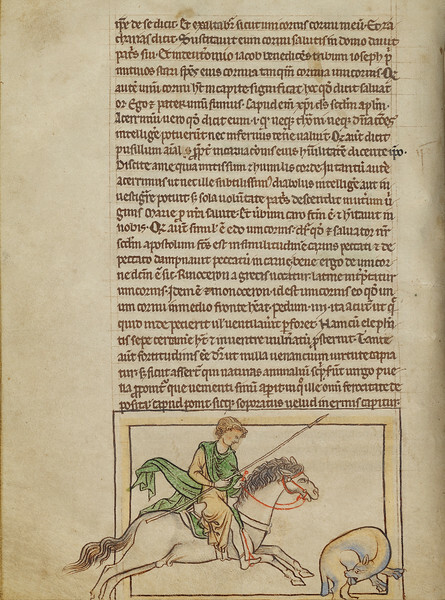 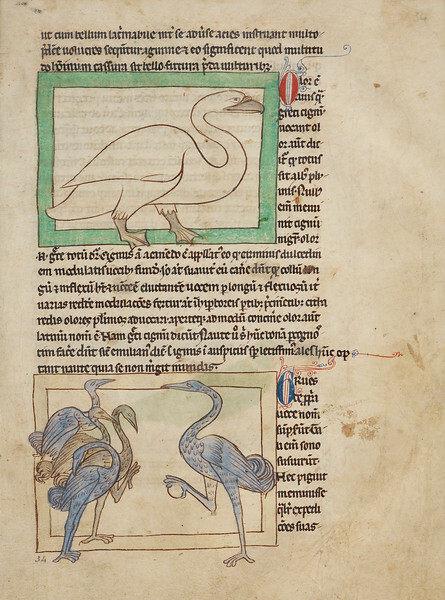 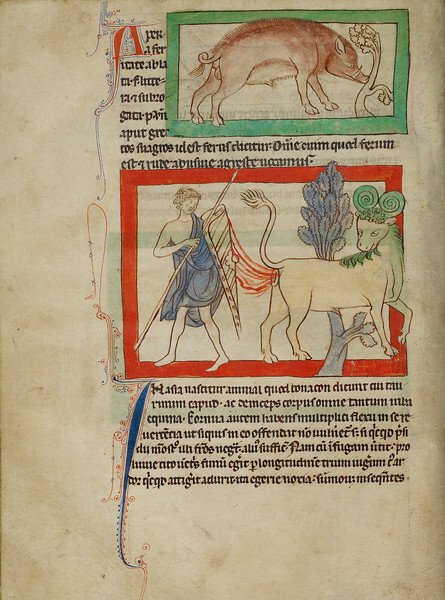 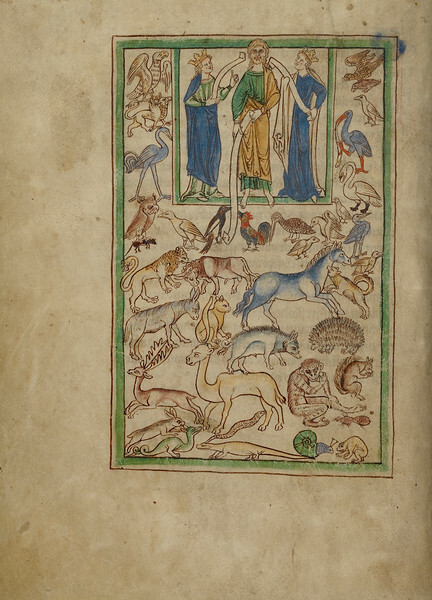 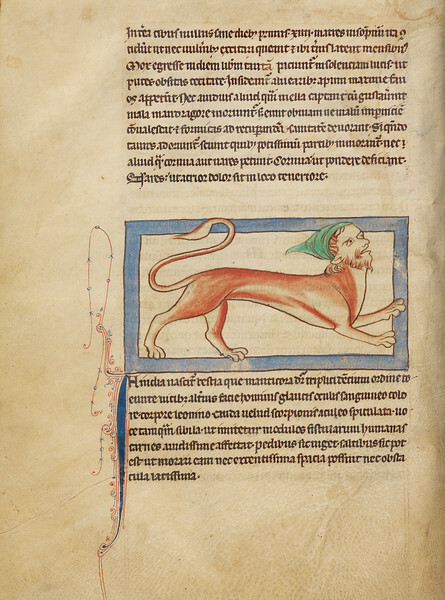 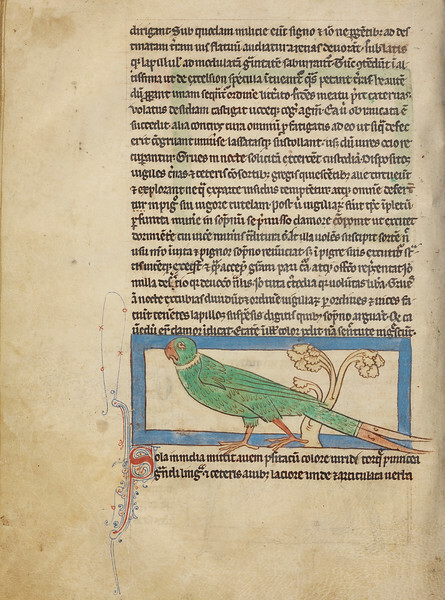 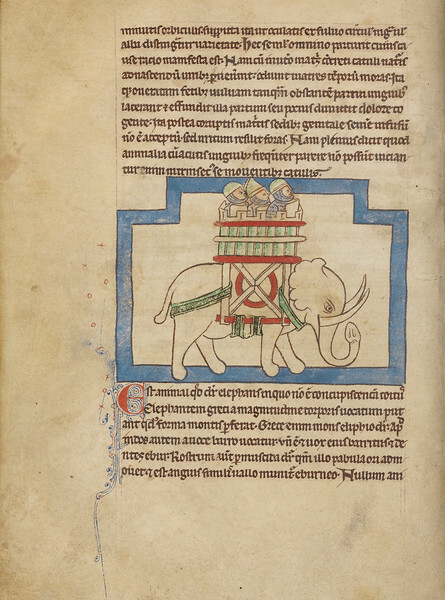 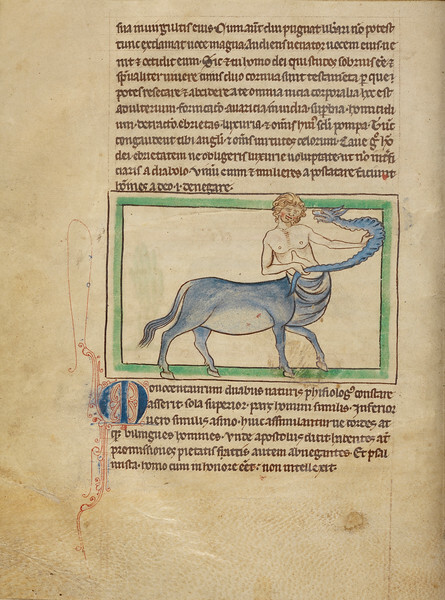 Each of the over one hundred animals featured in this manuscript (called the Northumberland Bestiary after a previous owner) has a unique and colorful story visualized in lively and animated terms. 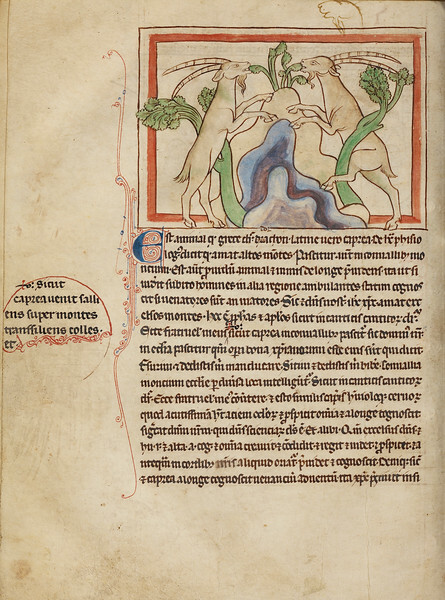 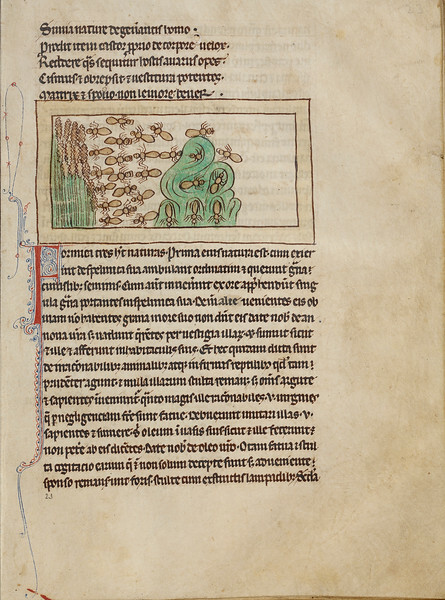 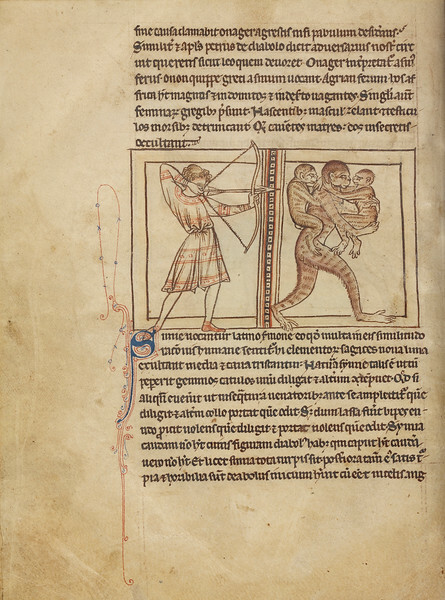 Tales of elephants carrying soldiers in far-away India must have seemed as incredible to the manuscript's owner as the images of the terrible six-headed hydra, who will grow three more heads for each head cut off. 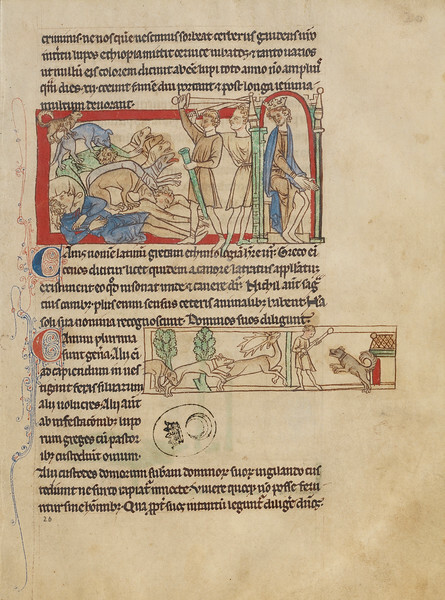 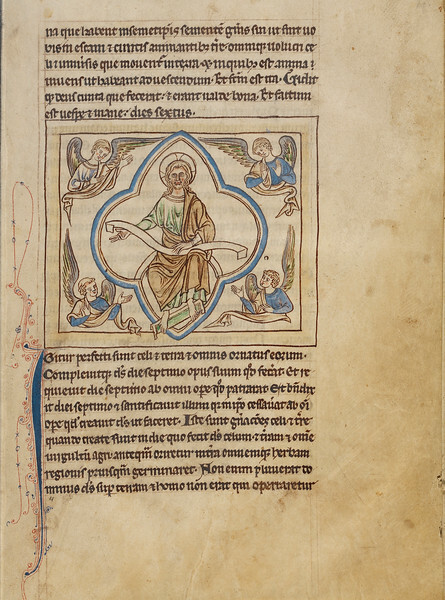 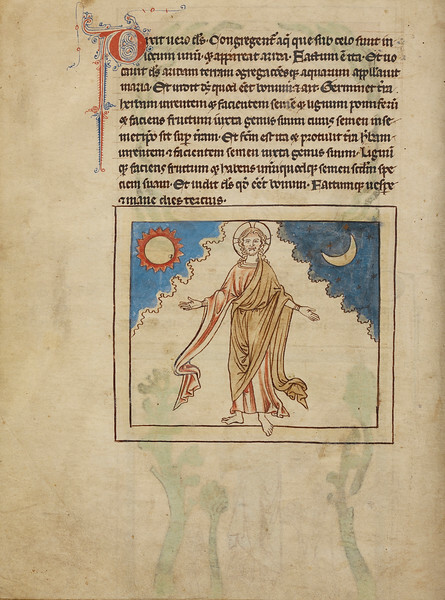 Executed in the colored drawing style that is part of England's distinctive contribution to history of art, the expressive naturalism seen in the images stands as a superb testament to the artistic heights achieved by English Gothic illumination.